A princess cut diamond centre stone set in a V-shaped collet with chevron claws. 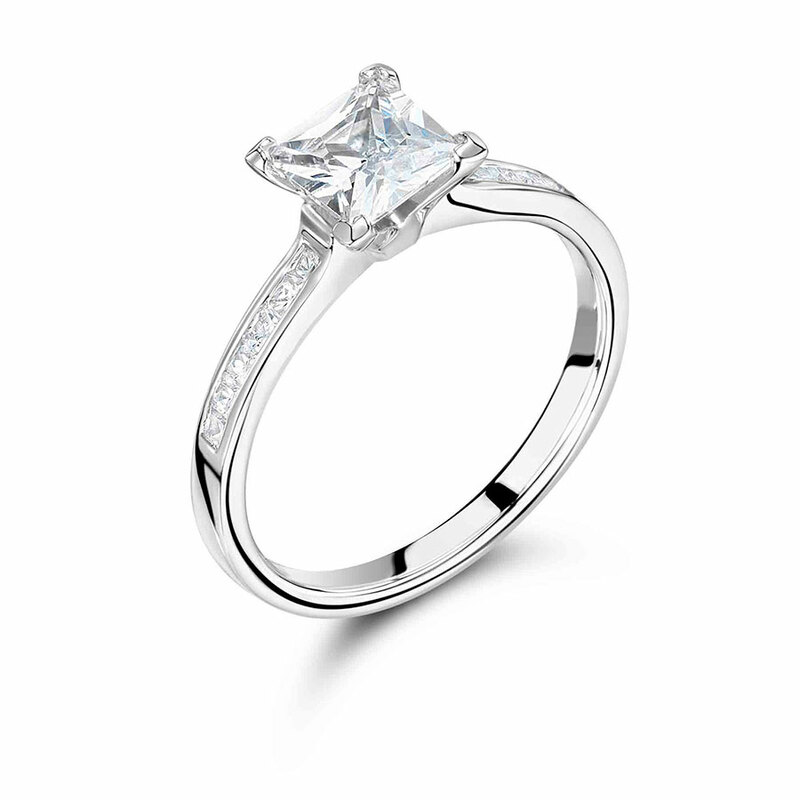 This ring also has princess cut diamonds channel set down the shoulders giving it an ultra modern look. This ring can be set into 18k yellow, rose, and white gold, and platinum. It is also a wedfit style, meaning that a straight wedding ring will sit flush against this ring. Voltaire Diamonds are based in beautiful and relaxing offices in Dublin 2. Make an appointment to visit us and start the journey to your dream engagement ring.